My mom launched her successful hair salon business in March 1962 during the musical era of Blue Beat and Ska. In her glory days of the 60s and 70s, mom’s salon was packed 6 days a week with women of all colours and creeds flocking to her to have their hair cut, styled, permed, and straightened. Many brides and bridesmaids were coiffed in her boutique. Not only was mom a class act at styling hair, she was a bespoken master tailor and seamstress. She designed and made an abundance of brides’ wedding dresses and the bridesmaid’s outfits too, as well as the bridegroom’s suits. This meant that nearly every other Saturday we were invited to many wedding receptions and house parties. So when mom finished work on a Saturday evening, my brother Bruce and I would help her sweep up and tidy the salon, then we’d put on our party clothes and forward to the wedding receptions and/or parties, where the sound systems would play the Rock Steady beat. Around that time, Ska had already begun to slow from its early-60’s rush by 1965 and Treasure Isle Records, named after the legendary Duke Reid’s liquor store in Kingston Jamaica, distilled this slower, easier music to perfection. 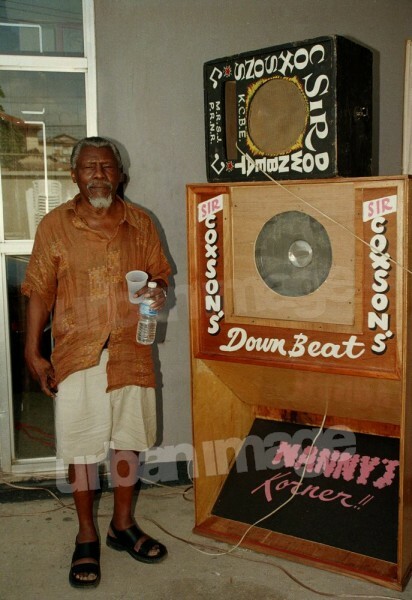 Stanley ‘Duke’ Reid built his sound system (naming it Duke Reid), when he resigned his post with the police force after ten years of service, and then started playing on the street corner where he lived in down town Kingston Jamaica. He soon began to attract large crowds and he would often travel to New York to pick up the latest best sounds and so always kept ahead. At this time the top sound systems were: Tom the Great Sebastian, Count Nicks, Cosmic, V-Rocket, Blue Mirror, Edwards and of course, the legendary Sir Coxsone Downbeat. In exciting competitions, sounds would challenge one another to play the best and/or the latest records; and to play the heaviest or simply entertain the public with their blend of taste and technique, selection and style. This ability to swing the crowd to dance and to feel the way they wanted musically would eventually prove to be the link between the sound system and the emerging Jamaican music industry. 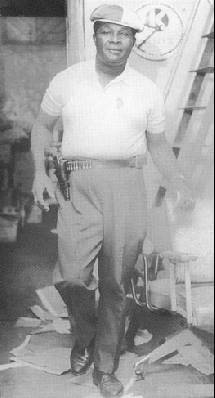 Duke Reid was a tough guy. He conducted his negotiations with a gun in his lap and heavy cops at his side just to let everyone know that he meant business. The music of Treasure Isle’s golden era reflects his determination to have nothing but the best from his studio in Bond Street Kingston, which was above his liquor store that bore the same name. He employed Tommy McCook as his musical director, and a cast of musicians known as The Supersonics to carry out McCook’s wishes. 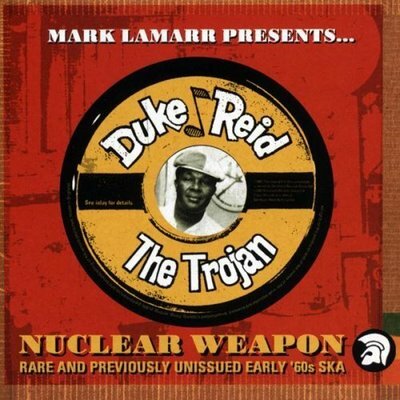 Duke Reid’s Rocksteady ruled the roost. 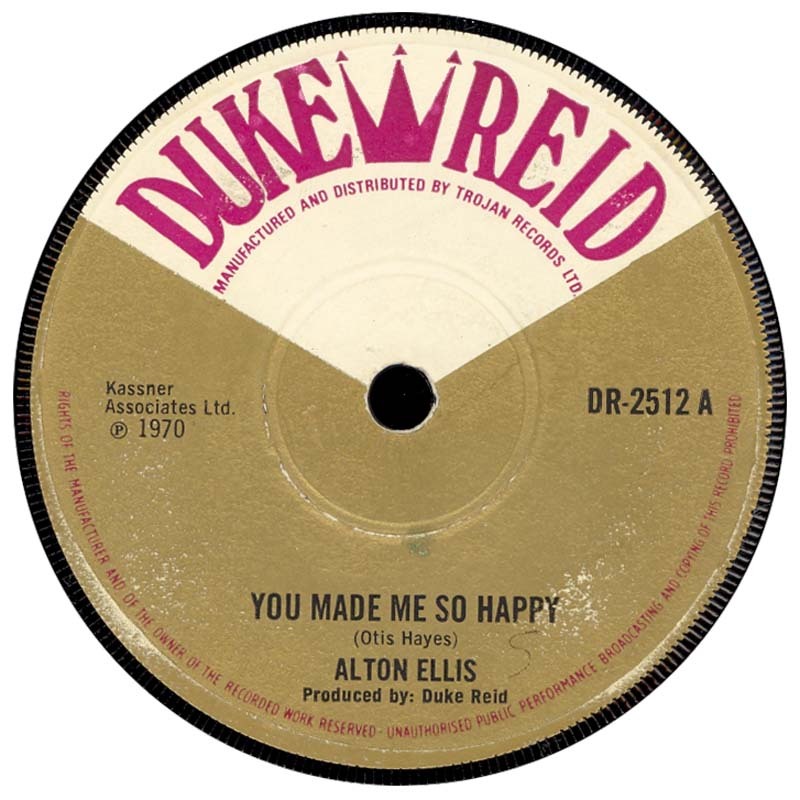 The Alton Ellis single Rock Steady gave the music its name. 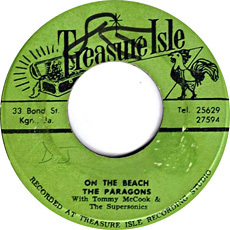 With additional groups groomed in the Treasure Isle camp such as The Paragons, The Melodians, The Sensations, The Techniques with Phyllis Dillon recruited to give the record label some feminine grace, Treasure Isle could hardly fail. The studio almost always had a record in the Jamaican top five from 1966 to 1968. Unfortunately the label failed to capitalise on its success and by 1969 was starting to struggle in the face of a blitz by the rougher sounds of a new beat called Reggae. Duke Reid fought back, in 1970 he re-launched his old groove by placing a new kid on the block U Roy on top of his Rock Steady rhythms. U Roy held five top ten hits in the Jamaican charts during that year. His freestyle rhyming laid the ground work for the music that would come to dominate the world in the 1980’s – rap. There were further hits to come from Treasure Isle, but it was really its last hurrah. By 1972, the label had again slipped back in the face of dub and it never to regained its status again. So this is the music I used to skank to with mom at the weddings and house parties in my youth; a long time before my sound system days. Duke Reid’s music is now played as “revives” in the shebeens and house parties wherever there is a West Indian population and has remained so ever since. Duke Reid’s Rock Steady still makes you feel its effects as soon as you and your partner turn down the lights down low and dance rub-a-dub style. This entry was posted on February 28, 2011 at 2:33 pm and is filed under Articles, Black British Literature, Black History, Newsletter with tags Articles, Black British Literature, Black History, Newsletter. You can follow any responses to this entry through the RSS 2.0 feed. You can leave a response, or trackback from your own site.